The quick service industry has never been easier, with Hike’s easy-to-use, feature heavy Takeaway POS, designed to give you faster and more streamlined sales. If you run a takeaway store, you’ll no doubt know and value the meaning of speed and accuracy. Hike does too, and that’s why we’ve designed a takeaway POS that’s here to help you streamline that process exponentially. Don’t be overrun by long waiting times, during peak periods. Hike give you an intuitive, smart touchscreen POS that is sure to give your business a ‘hike’ in takeaway sales. Bringing your takeaway store online is an essential part of the modern food and beverage industry, and Hike caters specifically to that need. Your customers will be able to place orders online, and pick up by the time they reach your store. Reduce lengthy waiting periods during your peak hours by having your kitchen team process online orders on-the-go. Being able to accept all payments types for your takeaway store brings you a clear advantage, and Hike integrates with leading payment processors worldwide including PayPal, Tyro, iZettle and Vantiv. Create custom payment types, so that you can choose to work with your existing merchant service provider or even take gift cards and loyalty point payments. More is often seen as being better, especially when it comes to food, and Hike’s has made adding extra options to your food products as easy a few clicks. Add a 50 cent option for extra cheese to your kebabs, that your cashiers will see during the sales screen. Seamlessly improve your sales process, benefiting not only your staff, but your customers too. 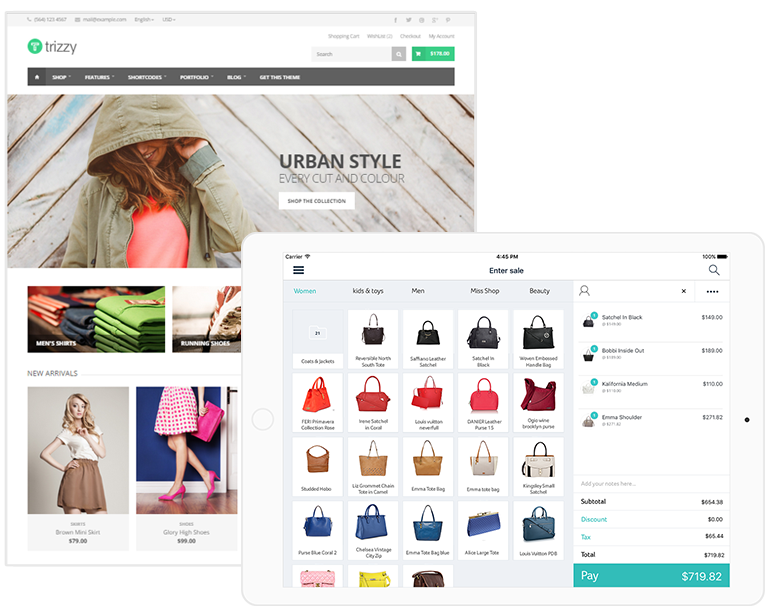 As an all-in-one retail solution, Hike is a brilliant vessel to access how well your store is doing. From sales charts to inventory reports and even access to how well your staff is doing, Hike gives you the information you need, all accessible with our takeaway POS system. Access real-time information with just a few clicks (or taps!) and make smarter decisions for your business. If you’re a pop-up store at a music festival or looking to add more takeaway outlets, Hike is perfect for you. As a cloud-based solution for your takeaway needs, expanding your point of sale alongside your own business growth is an effortless experience. From transferring stock from store to store, to managing your staff across multiple locations, scale your business as you see fit.